Neurosurgeon Fred Simeone’s philosophy toward collecting can be summed up by what he refers to as “The Automotive Hippocratic Oath: Do no harm to historically accurate artifacts.” The Philadelphia museum housing his racing sportscar collection is now open to the public and is becoming a magnet destination for enthusiasts. In this latest effort from Coachbuilt Press, Michael Furman’s exquisite photographs are used to complement Dr Simeone’s knowledge and enthusiasm as he leads the reader on a virtual tour of the Museum. The great rivalries from each era are all there; from Stutz and Mercer, Vauxhall and Bentley, Bugatti and Alfa Romeo, Allard and Cunningham, Jaguar and Ferrari, culminating with the Ford Mk IV and Porsche 917. The Spirit of Competition showcases examples in the collection that chronicle the evolution of the racing sportscar, but the book is much more than a museum catalog. 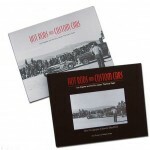 Using period photographs and road tests or driving impressions from publications of the era, the history of each car is revealed, along with its significance in the sport’s progress. 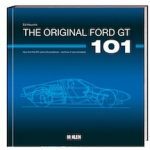 The author describes his search for unmolested examples of desired cars, the eventual acquisition, and his painstaking efforts to maintain or restore operational function without compromising originality. While competition is the central theme, with actual Le Mans and Mille Miglia winners prominently displayed, there is also room for the less successful but visually exciting Auburn Speedsters, and the gorgeous short-wheelbase Squire prototype. Dr Simeone makes no apologies for what some may see as obvious gaps in the collection. Personal preference and the availability of funds are factors, but the primary concern has always been to wait for the best original example. 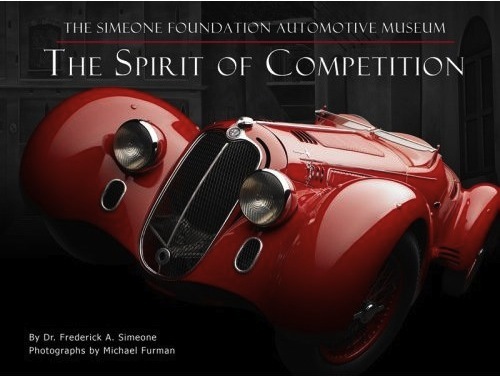 Within those guidelines, the Simeone Collection ranks with the best in the world, and The Spirit of Competition is a fitting tribute to one man’s desire to preserve and share with us his passion for automotive history.